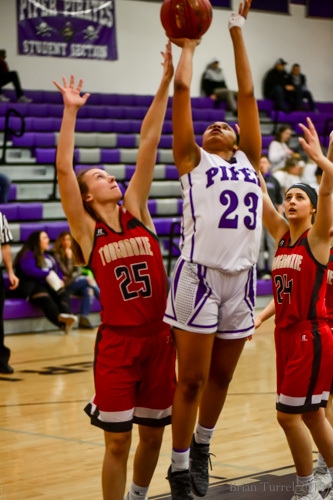 Lady Pirates beat Tongie 56-20 – Welcome to Wyandotte Daily! 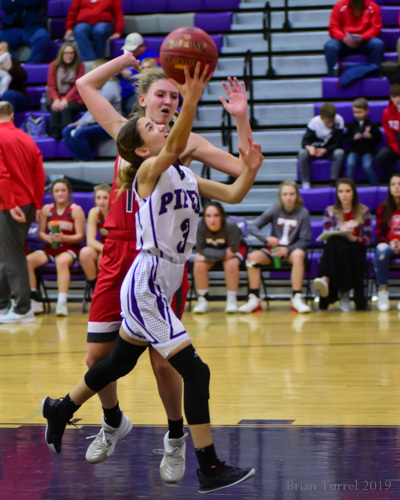 The Piper girls basketball team continued their dominant run through the 2018-2019 season, defeating the Tonganoxie Lady Chieftains 56 to 20 at Piper on Friday night. 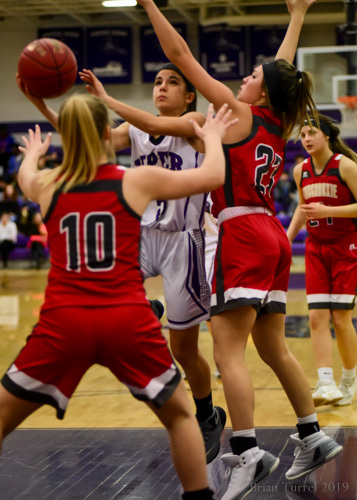 The Lady Chieftains were powerless to stop the Lady Pirates well-known pressing defense and strong inside shooting. The Pirates took a commanding 28-1 first quarter lead. 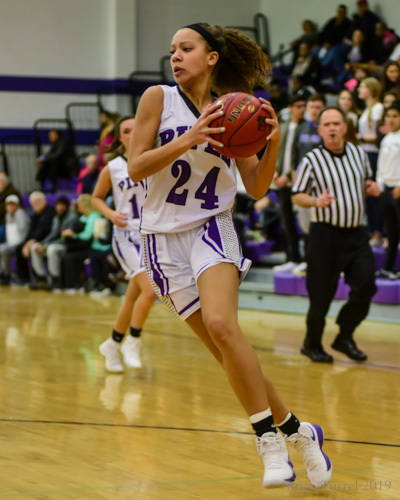 Evelyn Vazquez, Ali Vigil and LaKya Leslie were all able to lead successful fast breaks that turned the game into a one-sided contest. 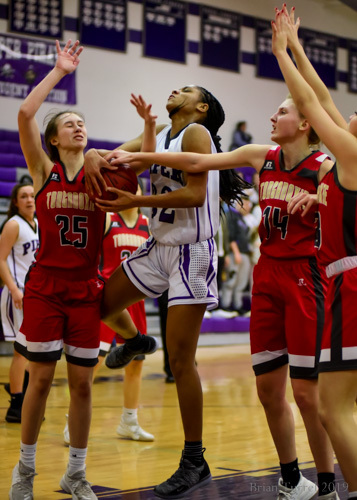 Coach Shane Stout relied on his bench extensively in the second half, putting freshman Saniya Simmons at point to gather valuable game experience. 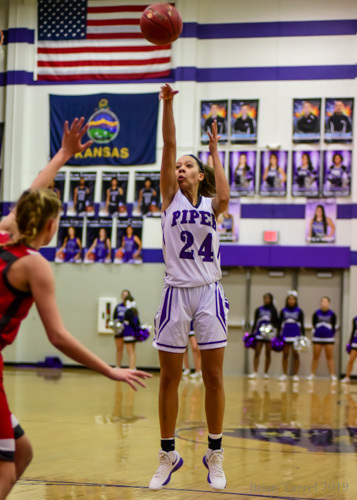 Ryan Cobbins led Piper with 12 points, including 3 three-pointers, while Evelyn Vazquez and Grace Banes each contributed 10. 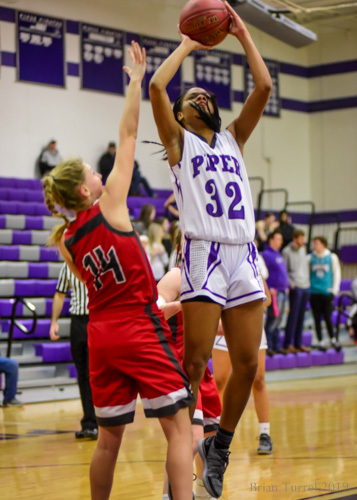 The win takes the Lady Pirates to 8-0 in the conference, 15-0 overall. 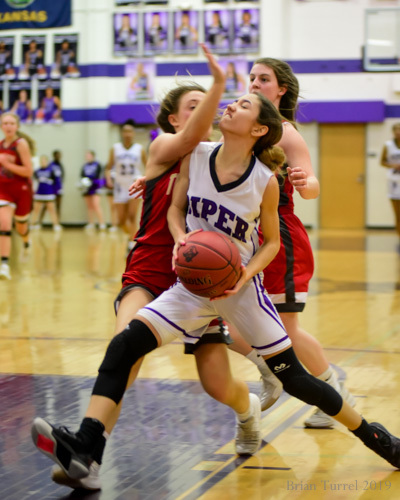 They are ranked second in the state in Class 4A by the Kansas Basketball Coaches’ Association, behind only Roeland Park’s Bishop Miege High School, which knocked the Piper girls out of the state tournament last year. 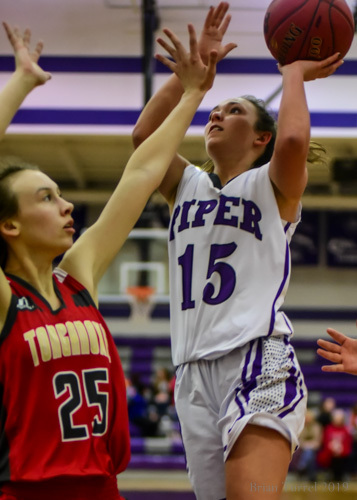 The Piper girls will play next on Tuesday at 6:30 p.m. against St. Joseph’s Benton High School, a make-up of the championship game of the Bobcat Invitational, which was postponed due to inclement weather.